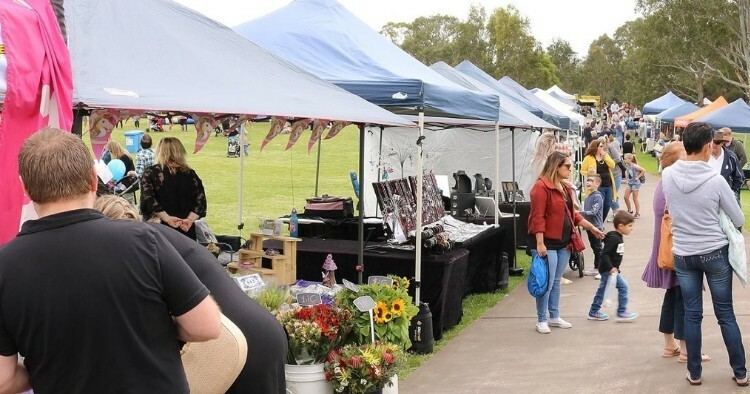 Held on the Lakeside lawn, you will discover a variety of stalls offering beautiful and unique gifts, fashion, jewellery, produce & artisan foods, flowers & plants, and homewares. There's something for everyone, even a kids zone! If you're not a shopper, why not just chill out and enjoy a relaxing Sunday by the lake, with live music in the background and some nice food purchased at one of the market stalls? You can always take a gentle stroll or an energetic walk and explore the 416 hectares (1,000 acres) of beautiful gardens. The Australian Botanic Garden Mount Annan is approximately 5 km from Campbelltown and 57 kms from Sydney CBD, i.e., about 45 minute drive from Sydney city. Plenty of PARKING is available on the grounds. As the organisers say "bring the tribe and experience a gorgeous Sunday at the Lakeside".